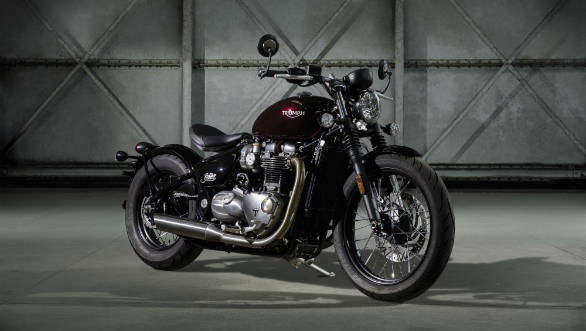 Triumph Motorcycles has launched the Bonneville Bobber in India at Rs 9.09 lakh, ex-showroom, Delhi. 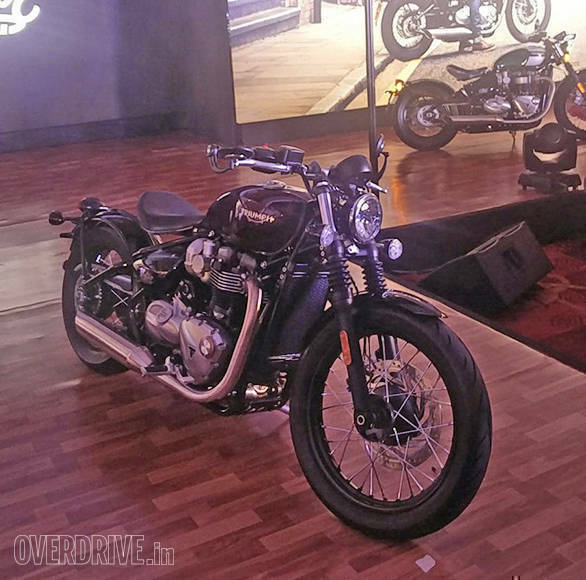 The Triumph Bonneville Bobber impressed us when we first rode it in December 2016 and now it has finally been launched in India. The Bonneville Bobber was a much awaited motorcycle, as it brings to our shores a combination of retro bobber styling and Triumph's reliable image in the Indian premium motorcycle market. There are also around 150 customisable parts for the Bobber available across Triumph dealerships across India. The Triumph Bonneville Bobber is largely based on the Bonneville T120 and is powered by the same engine as well. It is the design which is the big differentiating factor here. While the entire Bonneville range is reminiscent of the classic British motorcycle design of the 60's, the Bobber takes that design language back two decades and across the Atlantic. Yes, the Bonneville Bobber, with its hard-tail design looks exactly like the American bobbers from the 30's and 40's. The Bonneville Bobber is available only as a single seater, with the rear monoshock mounted right beneath it. The seat is adjustable for two positions  high and forward for spirited riding or low and back, for a relaxed cruise. A flat handlebar with bar-end mirrors, and a shorter slash-cut exhaust complete the Bobber's design. Triumph is offering a host of accessories to customise the motorcycle according to the customers taste and preferences. It is powered by the same 1,200cc, liquidcooled, parallel twin engine as the Bonneville T120. The power and torque figures on the Bobber though has been tuned to be available lower down in the rev range, with the 77PS power output coming in at 6,100rpm and 106Nm torque output at 4,000rpm. The Triumph Bonneville Bobber also offers ride-by-wire with different modes, traction control, ABS and torque-assist clutch. This makes the Bonneville Bobber is a retro-looking motorcycle with modern underpinnings.